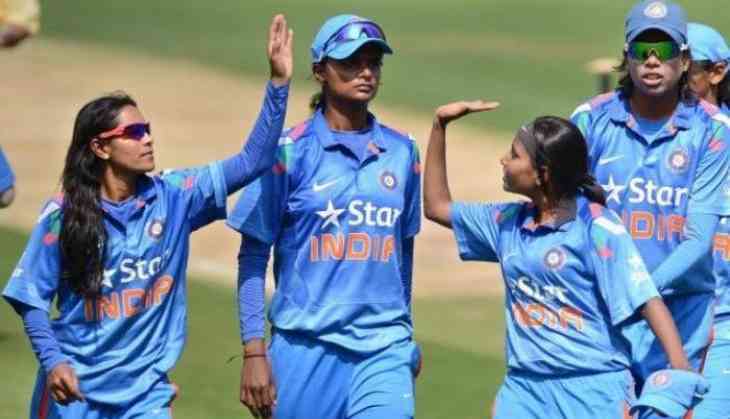 High on confidence after three wins on the trot, India would look to continue their unbeaten streak and take another step towards a semifinal berth when they face a lowly Sri Lanka in the ICC Women's World Cup, here on Wednesday. The Indians, enjoying good run, would certainly start as overwhelming favourites against Sri Lanka, who have looked below-par in the tournament so far with three defeats from as many matches. If there's anything called momentum in cricket, it is with the Indian team at the moment. "We definitely will look into the fact that we don't lose wickets back-to-back because that puts a lot of pressure on the incoming batters as well as the team. We need to work on our partnerships as batters," Indian skipper Mithali Raj said. "In terms of bowling, the spinners have been doing well, (against Pakistan) the pacers looked better than the last two games so it depends which wicket we play on against Sri Lanka. If it's a fresh wicket, then we have different plans for it," she added. Having comprehensively won last four ODI series -- whitewashing Sri Lanka and the West Indies at home before beating South Africa in the finals of the World Cup qualifier as well as the quadrangular series -- besides three wins in the round robin stage of the ongoing event, the Indian women would not want to lose the rhythm at any cost. India made a dream start to the tournament by stunning hosts England by 35 runs before trouncing West Indies by seven wickets in their next encounter, while their 95-run win over arch-rivals Pakistan in the last match has only helped them grow in confidence. Having six points from three games, India are at the top of the table. After a couple of impressive outings by the batters in the first two ties, the previous match witnessed left-arm spinner Ekta Bisht (10-2-18-5) and company defending a meagre total of 169, skittling Pakistan out for 74 in 38.1 overs. Another key bowler for India is Deepti Sharma, whose off-spin has been instrumental in controlling the middle overs. She has been equally good with her fielding, producing one crucial direct hit against England. Poonam Yadav and Harmanpreet Kaur are the other bankable bowlers. Jhulan Goswami, the highest wicket-taker in ODI history, may not have clicked so far but she would still be leading the bowling attack and would be keen to make a contribution. On the batting front, opener Smriti Mandhana looks to be enjoying the form of her life, while captain Mithali Raj and Poonam Raut lend a lot of firepower. Sri Lanka, on the other hand, are yet to taste victory. They lost to New Zealand by nine wickets in the tournament opener before being handed a eight-wicket thrashing by Australia and another seven-wicket defeat by England. The Lankans would rely heavily on Chamari Athapaththu to make a difference against the formidable Indians. Athapaththu stole the limelight in the first two matches, scoring 53 against New Zealand and an unbeaten 178 against Australia, one of the best innings in the history of women's cricket. The only batter with 200-plus runs in the competition, Athapaththu would be looking to make a contribution to the team's winning cause tomorrow. "At the moment India is doing really well so we'll definitely have to play very good cricket against them to win. As a team though we're in good condition, we are batting really well compared to the last few years," Sri Lanka captain Inoka Ranaweera said. India: Mithali Raj (capt), Ekta Bisht, Rajeshwari Gayakwad, Jhulan Goswami, Mansi Joshi, Harmanpreet Kaur, Veda Krishnamurthy, Smriti Mandhana, Mona Meshram, Nuzhat Parween, Shikha Pandey, Poonam Raut, Deepti Sharma, Sushma Verma, Poonam Yadav.